Dm, or D minor, is almost exactly like the D major chord, with one exception: Instead of a major 3rd, it has a minor 3rd. 1. Place your index finger on the High E string, behind the 1st fret. 4. 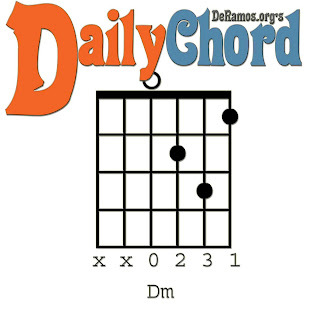 Avoiding the Low E and A strings, strum the Dm chord.